Today’s generation is the largest consumer of computing devices. The main components the any computing system are storage and speed. With increase in the consumption of internet traffic and digital media, there has always been a need to optimize storage and speed. One best way to do it is to reduce size without reducing technology. We take a lot of pictures these days. Hence, we love to share these images over the internet. Storing these images is also a concern as we have limited storage on our devices. Images can also be reduced in size to optimize the speed of a webpage. High quality images with reduced size not only saves space on the server but also improves loading speed to a greater extent. Therefore, most users as well as web masters prefer to reduce the size of images for storing them as well as posting them online. So, if you are also looking for a way to reduce image file size without loosing quality, then we have the perfect solutions for you. We have web applications, software’s as well as plugins that will help you reduce image size without any loss in quality. You can choose any service that suits you the best. How To Reduce Image Size Without Losing Image Quality. Method 2:- Reduce Image File Size Online Without Losing Quality. WordPress Plugins To Reduce Image File Size Of Media Library. This is a simple tool that can help you reduce size of your images without any loss in quality. It is available for Windows, Mac as well as Linux. It supports both jpg and PNG files. 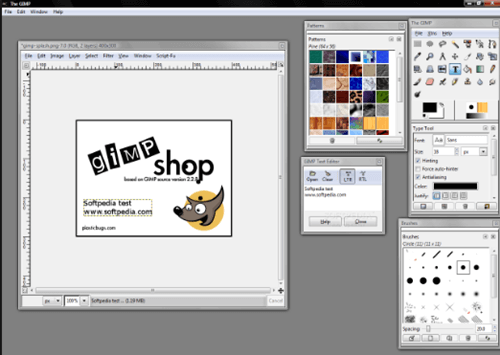 GimpShop is a cross platform tool available for Windows, Mac and Linux as well. It has various editing tools as well as photoshop like features and offers better compression tools. This is a tool available only to Mac users. 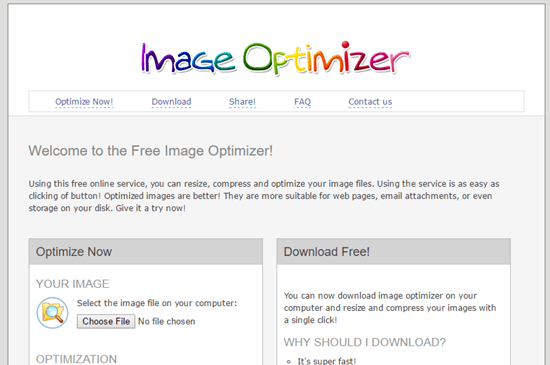 If offers a great set of image optimisation as well as compression tools. It’s compression tool is so well designed that you can hardly notice any loss in quality. This is an excellent online app to reduce image size without any loss in quality. It supports all major image formats. It also offers Chrome and Firefox extensions which are of great help. jpegmini.com is an easy to use yet very intuitive service to reduce image size without any loss in quality. You can also enter the URL of any image for quick and easy compression. Also, uploading from your computer is always an option to go with. This is the easiest tool on the web to reduce size of your images. It supports upto 20 images at once and offers a zip download. If you want some control over the quality to compression ratio, this web application is for you. You can slightly change the compression ratio that suits your needs. If you are a webmaster and own a self hosted WordPress CMS for websites, you can use any tool to optimize the performance of your webpages by reducing image size of your website without any loss in quality. This can be automatically done by installing any of the following plugins. There are many paid as well as free plugins but we have tested and listed the best ones below for you to use. In conclusion, these are the best ways you can reduce image size without any loss in quality. If you have any other methods, then please feel free to share with us in comments below.